One of the best ways to grow your wealth over time is by investing your money. And if you want to reduce your risk, and improve your diversification, funds can be a great way to go. Funds allow you to get started small, and use dollar cost averaging to gain exposure to a variety of investments without the need for stock picking. When deciding how to use funds in your investment portfolio, you need to make sure you understand the difference between growth funds and value funds. These are funds that focus on fairly spectacular growth. You might see a significant increase in year-over-year performance with growth funds. These can be used to grow your portfolio value at a more rapid rate. Growth funds invest in companies that are expected to continue to see rapid growth for the next few years. Hot startups, along with older companies that are expected to continue to see good earnings, are often considered growth stocks and included in growth funds. In many cases, growth investments are somewhat expensive. The cost is theoretically made up for by the bigger gains. While growth funds offer the chance of more dramatic earnings, it’s important to realize that the chance of higher returns comes the chance of bigger drops. When growth investments run out of steam, they tend to fall faster and harder than value and income investments. While fund managers and administrators periodically rotate out investments, it is still possible that funds lose value. Additionally, if managers decide to turnover investments, and you don’t have the fund in a tax-advantaged retirement account, there could be tax consequences to you as well. You can use a growth fund during the wealth building phase of your financial plan. When used in asset allocation, growth funds are often part of the equity allocation. If you are constructing your portfolio using the “120 minus your age” method, you would include growth funds in the portion meant to shrink in size as you get older. However, it’s usually not the best idea to make growth funds your entire equity strategy. Temper that portion of your portfolio with a few value funds. Rather than looking at growth potential in the next few years, value funds attempt to invest in companies with staying power. The idea is to find fundamentally strong investments that are undervalued by the market. Value investments often cost less than growth investments. Value funds don’t usually see impressive growth from year-to-year, but they still offer solid long-term opportunities for capital gains. 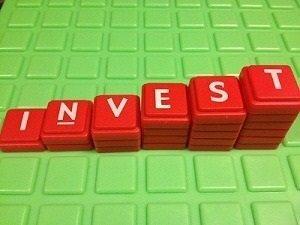 Value funds are also often used in the equity portion of a long-term investment portfolio. One way to use value funds is to coordinate your efforts with growth funds. As you are younger, and the equity portion of your portfolio is larger, you can use growth funds to help you grow your wealth, and include value funds to limit risk. As you move closer to retirement, start replacing some of your shares of growth funds with shares of value funds. You’ll still see some decent growth, but it won’t come with some of the risks seen with growth funds. Finally, as retirement becomes a reality, your value fund shares can be replaced by income fund shares and by bond investments, bringing your asset allocation in line with wealth preservation. But you can still keep the equity portion of your portfolio in value funds, if you want the growth portion of your portfolio to remain relatively stable. In general, you should use your risk tolerance as a gauge of how much you should invest in growth and value funds. Those with a higher risk tolerance can generally expect to handle growth funds. However, if you have a low risk tolerance, you are usually better off putting more of your available money in value funds. While there is never any guarantee that you won’t lose money, it is possible to limit your losses by choosing value investments. Value investments won’t provide you with huge increases in returns, but they can help you see solid growth over time, and help you get the biggest bang for your buck.